PSYC 200 explores how humans develop from the prenatal period up until puberty. Emphasis is placed upon human social, cognitive, and physical development. Students learn the current state of affairs in America for factors and policies that impact child development, while comparing them to Spain and other western European countries. Granada, a city of 240,000 in southern Spain, is a city full of history unlike any other in Europe. The city was the last stronghold of the Islamic Moors and their legacy lies all around -- in horseshoe arches, spicy aromas emanating from street stalls, and tea houses in the millennia-old Albaicín neighborhood. 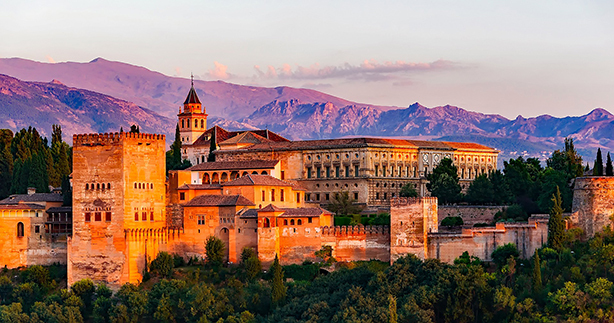 Most stunningly, the Alhambra—a Moorish fortress and palace—is without equal in Europe for its beauty and design. There’s also an energy to Granada’s streets, which are packed with old-school tapas bars, bohemian cafes, and intimate flamenco clubs. Granada also provides proximity to other southern Spanish attractions, such as beautiful beaches, the Sierra Nevada mountains, and the towns of Sevilla and Cordoba. Dr. David Schultz is an associate professor in the Department of Psychology and a clinical child psychologist. His work focuses on how families and schools impact the social and emotional development of infants and young children. He is Assistant Director of the UMBC Home Visiting Training Center, a center that teaches professionals effective ways to interact with pregnant mothers and mothers of young children. With multiple colleagues in Spain, Dr. Shultz’ tools developed to assess children’s emotional and social intelligence have been translated into Spanish and used across Spain.